What is the Kijang Scholarship? The Kijang Scholarship is one of the two overseas scholarships offered by Bank Negara Malaysia (BNM) (also known as the Central Bank of Malaysia) aimed towards SPM graduates, making it one of the many generous institutions that offer scholarships at this level. Applicants are able to request to be sponsored to study at the UK, USA or Australia at university level to read one of a certain few disciplines – Economics, Actuarial Science, Law, Accounting & Finance and Mathematics. These specific subjects are chosen because BNM is a Central Bank, thereby requiring its human capital to be proficient in these fields in order to regulate the economy effectively. What is the difference between Kijang and Kijang Emas? While this article will be on the Kijang Scholarship predominantly, some obvious differences between Kijang Emas and Kijang will be made clear here. In terms of grade requirements, Kijang Emas is exclusively for straight A+ students while 8A/A+ is the requirement for Kijang. The difference in criterion stems from the terms of the scholarships themselves. While the Kijang Scholarship limits itself to the 3 countries and 5 disciplines mentioned earlier, Kijang Emas permits its holders to pursue any discipline in any country. However, applying to Kijang Emas doesn’t guarantee you assessment for the Kijang Emas; if BNM thinks that your application is more suitable for Kijang, you may be shifted. In contrast, I have never heard of the opposite happening thus far. Is there a bond that comes with the scholarship? There is a service bond for holders of the Kijang Scholarship – 2 years of work with BNM for every year of sponsorship. This means that getting sponsored for 2 years of A-level plus 3 years in the UK means 10 years of bond. The plus point is that you get job security in a Central Bank. This is, I believe, explicitly stated in the BNM scholarship webpage. In comparison to other scholarship bodies in the financial or governance sector e.g. Maybank, Sime Darby and JPA which all have bonds of between 4-5 years, Kijang Holders have to serve a far longer bond period. Kijang Emas scholarship recipients, however, are not bonded to BNM, though they are called to contribute to Malaysia, also for double the period of the sponsorship. How is the assessment process? There are two major stages in which your suitability for the scholarship is assessed. The first, of course, is the online application. Right when SPM results are released i.e. 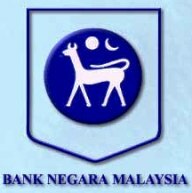 early March, the BNM website will commence its scholarship applications, of which links can be found on their website. It is imperative that you do not apply to the wrong scholarship given that there are scholarships for undergraduate level and beyond as well, in which you may have proven your lack of competence if you do so. The online application is relatively simple: just key in whichever details they ask for e.g. personal details, SPM grades, co-curricular achievements etc. I have heard that applicants have to write short timed essay at this stage (I did not have to in 2013, but heard that 2014 applicants had to). Whether it is true or not, if you truly know what you want to apply for and why, plus if you are a competent student, you will fare well. Your co-curricular achievements will definitely help in making you stand out from the myriad of applicants, all of whom have stellar grades. Perhaps by coincidence, but a significant portion of people that make the cut all the way until the end and eventually attain the scholarship itself, are debaters. A more intuitive observation was that people who get shortlisted have at least national-level achievements. I, for one, had an international-level achievement, about two national-level achievements, amidst several state and district-level achievements plus 8A+, 1A in SPM. It is imperative that you excel in co-curricular activities while in secondary school rather than going full bookworm. If you haven’t, you are probably not going to make it, unless your application seems strong even without it. If you are one of the lucky ones amidst a huge pool of competent applicants all across Malaysia, your second stage would be the 3 day 2 night Kijang Academy which will be held at Lanai Kijang and Sasana Kijang. I have no way of assuring that this will be the length of the Academy at the time this article is read. It is usually at this stage where people realise how sophisticated the Central Bank can be. You will be staying at Lanai Kijang, their residential building while a majority of your assessment will be in Sasana Kijang, the futurist glass building equipped with cutting edge technological gadgets and a huge library. There will be good food for the famished. So what is this Kijang Academy? If you have hundreds of equally competent applicants on paper, how do you choose a handful of scholars? The solution would be the usual – interviews, group tasks etc. This is where Kijang Academy occurs. However, the Kijang Academy is designed in such a way that it is impossible to fake it through. Who and what qualities they are looking for are never known explicitly. So my advice at this stage for you prospective applicants would be to be yourself at your best and be a humble person. The first stage during my year was an essay on the first night of our stay. Questions were generally personal i.e. your qualities, studying attitudes etc. My inference was that this task aims at showcasing your thought process, reasoning, structure and effective communication. It is imperative that one writes concisely; verbosity hinders communication. They want to know more about you rather than to see you show off your flowery, bombastic and glorious language mastery. For my case, it was done in a relatively short period of time (not exactly short if you reflect on it after a year of A level) in a ballroom sort of hall. The second stage begins on the following day in Sasana Kijang. Do note that this may be drastically different by the time you are reading this article as scholarship assessment methods change over time at their discretion. This stage consists of several group-based assessments – interviews and tasks. You will be put into groups of approximately 10. The first portion of the group stage was intuitively an ice-breaking session. I was required to introduce another member of the group while she did the same for me. The setting was designed to make everyone less stressful or tense and know each other more for the remaining of the group stages. So for strategic purposes, get to know everyone in your group well; perhaps knowing their strengths will do. The second portion of the group stage, if my memory doesn’t fail me or if nothing changes, was an interview done under the disguise of a series of role-play tasks. We were supposed to give talk shows presuming that we are experts of our desired fields of studies. By desired, I mean the disciplines you applied through the system. Essentially, it means that they want to know even more about why you applied for your desired subject of choice under a less pressured situation. The third portion of the group stage was a obligatory group task as per what other scholarship bodies also do – a group presentation based on a business problem i.e. to come up with a solution for a situation portrayed within 30 minutes of discussion/preparation within your group. The presentation would last approximately 10-15 minutes in extension to Q&A by the assessors. Fret not about your knowledge in business jargons as the questions are designed to be fair to everyone regardless of pre-existing knowledge on business. It aims at exposing how you function as part of a team. Keep in mind that this is not a game for dominance by anyone; your purpose is to contribute towards a working solution as a team. If you, in any way, decide that being “shiok sendiri”, shutting out others or being a dictatorial leader is a good way of working as a team, all the best! The fourth and final portion of the group stage was a creative group work, in which most will find this part the most memorable, enjoyable and stress-free. You will be using limited resources e.g. limited amount of papers, tapes and sticks to build something within an hour. We were tasked with building a tower. Creativity counts here as well; hence, artistic members of the group will be of great use here. With the creativity cap removed, my group produced a futurist twin tower ultrapolis. My advice for this part is the same as the previous paragraph: you are part of a team striving for a creative solution, so do your part and contribute effectively. At the beginning of the Kijang Academy up until now, there will be about a hundred of applicants per batch. Intuitively, they are not going to interview everyone personally if they can cut down some by this stage, which is exactly what happens. The assessors will be able to identify who may secure the scholarship and who definitely won’t by the end of the group assessments. Only those who may secure the scholarship by the judgment of the second stage stay onto the next stage – the individual interview and presentation. The announcement is done differently in my year than in the following year. However, the main characteristics stay – a list of students will be announced and be told elsewhere that they have been dropped out of the selection process. Either that or those who make the break will be told elsewhere. The final stage of assessment consists of two parts – the individual presentation and the interview. By this stage, approximately half of the applicants would have been dropped out, leaving every group with on average 4-6 members. There doesn’t seem to be any quotas of participants making it to this stage as some teams have significantly more or less members at this stage. The first portion of the final stage begins such that you are given 15 minutes to prepare a presentation based on one of the questions from a list. There are general questions similar to SPM-level questions and more external knowledge-based questions. Most interviewees went for the general questions. Do note that while all of the applicants prepare together, not everyone gets interviewed immediately after. This does not mean that you are allowed to make edits after 15 minutes of preparation to your flipchart. When it is your turn, you will be asked to present whatever you have for about 10 minutes plus 5 minutes of Q&A session by the assessors. Effective communication, reasoning and making sense is still the key here. The second and ultimate portion is of course the interview itself, which may be rather lengthy. Mine, for one, lasted almost about an hour. In practice, your interviewers want to know more about what they have learned about you in the previous stages e.g. why your chosen course, why Bank Negara and of course, showcasing through your ECAs/school life why you are suitable for the scholarship or even working in Bank Negara as a whole. Essentially, they want to be sure that you are suitable for the scholarship. There is no point awarding a scholarship to a student who won’t fit into working at Bank Negara. The criteria of assessment remain difficult to decipher, my advice remains the same – be yourself at your best. What happens after Kijang Academy? This is arguably even more stressful than the assessment itself if you make it thus far. You have to wait for almost 3-4 weeks before you get the decision from BNM. There is only so much you can do at this stage, go on with interviews from other scholarship bodies, continue college education or get on with life as usual. If you are awarded the scholarship, you will receive a phone call from BNM telling you the discipline you are sponsored to pursue; you will also be told of the country in which your undergraduate studies will take place, hopefully. There are people who do not attain their first choice, presumably that the assessors think that their second choice suits them more. By words, you can decide to either accept or reject the scholarship through phone. There will be a day dedicated to briefing you and your parents about the scholarship terms and preparatory colleges (KTJ, KYUEM or Taylor’s), probably about a week after you get the call from BNM. On this day, you will be briefed on the scholarship contract just like how legal firms and banks normally would. Make sure that you get as much clarifications as you can on the terms; your following 1 or 2 years in the prep colleges will be directly affected by them. After which KTJ, KYUEM and Taylor’s will brief you on their schools/colleges. What to do after being awarded the scholarship? If you are awarded the scholarship, it means you have attained a privilege to have free overseas education, arguably a dream everyone would have. Don’t let it go to waste. Keep in mind that attaining the scholarship is just a stage but retaining the scholarship is another. The universities which you are allowed to apply to are extremely competitive ones, which is rather intuitive because who would want to sponsor stellar students to average overseas universities on par with local universities. This means that you will have to study even harder to get your places in the overseas universities. In your preparatory colleges/schools, life will be even more hectic than in secondary school with more academic content and co-curricular activities. My ultimate advice would be to prioritise smartly; the Bank sent you to whichever place you end up in to study, not to flunk your grades because of anything. Suah Jing Lian is currently a Bank Negara Malaysia Kijang Scholar who’s pursuing his A-level at Kolej Tuanku Ja’afar and hopefully Economics in the UK. He has a penchant for Baroque music, particularly Bach’s partitas, and debating, which he claims provides sparks to his life. People claim that he looks and speaks in an intimidating way but not really, he’s one of the most eccentric people you will ever meet.